Dyan O'Halloran-Schnaars, managing attorney, is an Alexandria, Louisiana native who transplanted to Lafayette 21 years ago. Dyan began her career as a paralegal in Alexandria, completing her studies at Northwestern University - Natchitoches. During her extensive paralegal career, Dyan gained experience in multiple areas of law. She was at the forefront of electronic discovery procedures gaining extensive experience with various digital image file typing, optical character recognition, bates imprinting and indexing and construction of hyper linked discovery databases. She was instrumental in developing in-house training in these areas for a local large defense firm. As a result, Dyan was featured in Manchester's Who's Who Among Executives and Professionals in 2005. Dyan has also been actively involved in her community serving two years as Management Development Vice President for the Alexandria Chapter of the Louisiana Junior Chamber of Commerce. 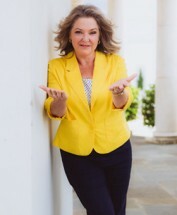 After 17 years as a paralegal, Dyan returned to school at the University of Louisiana at Lafayette where she obtained her Bachelor of Science in Business Administration with a concentration in Management. As a scholar, Dyan was a distinguished member of the National Scholars Honor Society and of Sigma Alpha Lambda Honors Fraternity. She was also a member of the Phi Alpha Delta Law Fraternity, Christians at Law and Women at Law. Dyan obtained her Juris Doctorate from Southern University Law Center in Baton Rouge, Louisiana. After obtaining her law degree, Dyan served "Of Counsel" to the law firm of Jeansonne & Remondet for a brief period, as well as maintaining her own personal law practice. She spent the following two years in personal injury litigation and pre-litigation practice before deciding to focus exclusively on Family Law in December 2014. Dyan is admitted to practice in all Louisiana state courts, and the Louisiana Supreme Court. She is a member of the Louisiana State Bar Association (LSBA) and the Lafayette Parish Bar Association (LBA), as well as a participating member of the specialized Family Law Sections of each bar. Dyan also frequently speaks to local DivorceCare Groups and Children's Advocacy Groups. Dyan was awarded a Pro Bono Publico Award in 2015 from the LSBA. She was also honored by the LBA with the Outstanding Attorney Award in 2015 and 2016, and the Top Attorney award for 2016 for her pro bono work in the community. Dyan resides in Lafayette Louisiana with her husband, Matthew, and their two children.